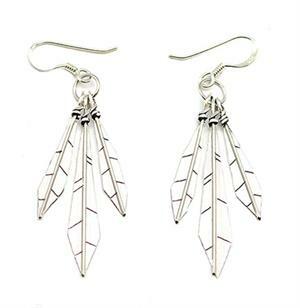 Hand made sterling silver 3 feather dangle earring. They measure approximately 2 1/8" long including sterling french wire and are about 3/8" wide. 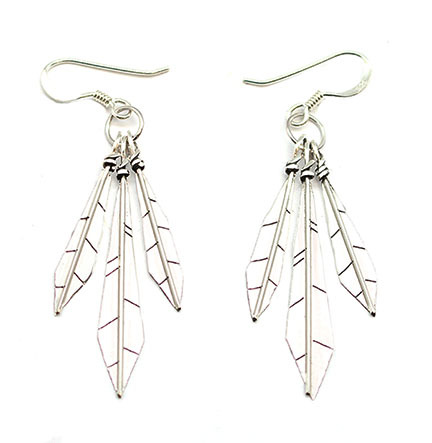 Crafted by Navajo artisan Lorenzo Arviso.